Another Equifest has been and gone and despite some (a lot) of rain on the first day, it turned out to be a lovely show! Our first mention has to go to the gorgeous Jessica Summers (main photo, courtesy of Equinational). 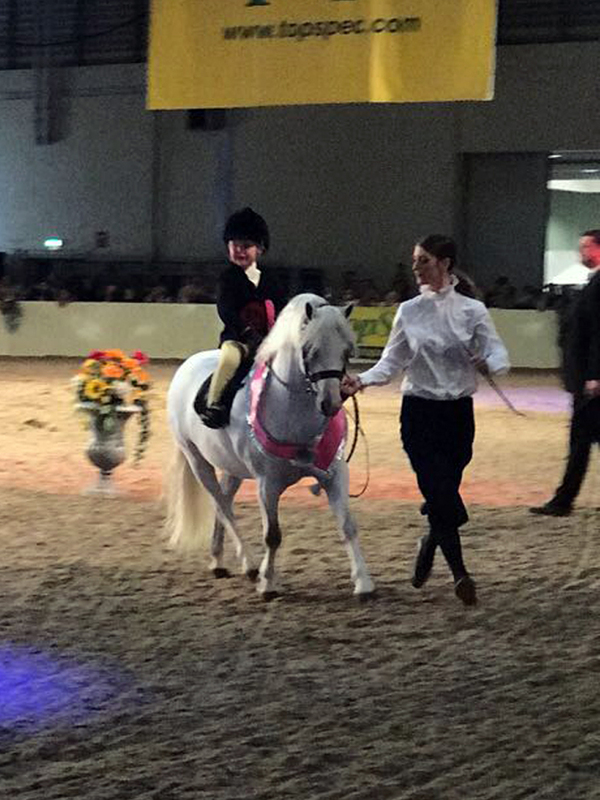 This little lady, just 4yrs old, won the novice M&M Lead Rein and the Tiny-Tots Lead Rein, going on to be Champion, and also won her division of the Davina Whiteman Star Riders Award. She went on to be Reserve Supreme of Show in the final Evening Performance; no wonder her smile is so big! Jessica’s pony is 7yr Old Welsh Section A, Malby Mahyong, owned by mum Helen and ably led by big sis Morgan. Malby Mahyong was fed Nupafeed MAH® to help him cope with the big atmosphere and we’ll be sure to feature this photo on our stand next year! On to the Nupafeed Cob and Riding Horse classes which were very strongly supported as always. 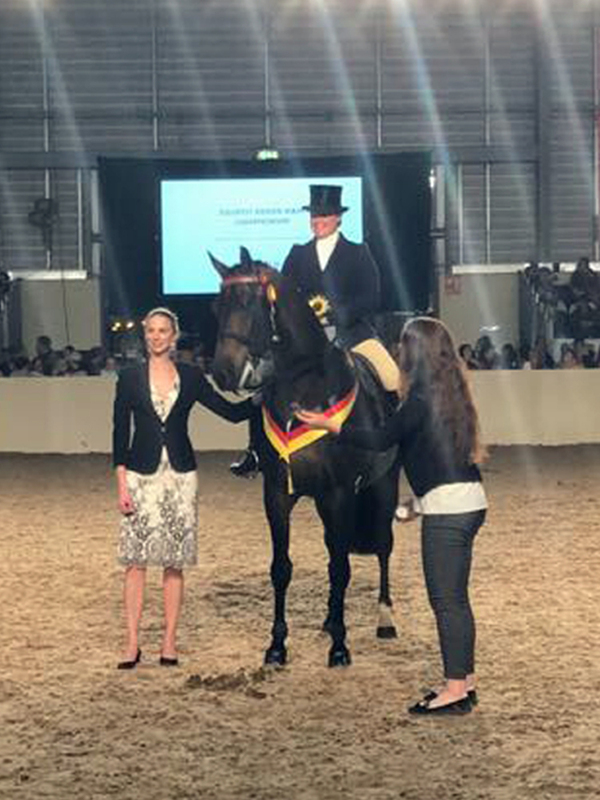 Champion Cob went to the winner of the Amateur Class, Avril Bartolomy and Clantara Shadow Play. 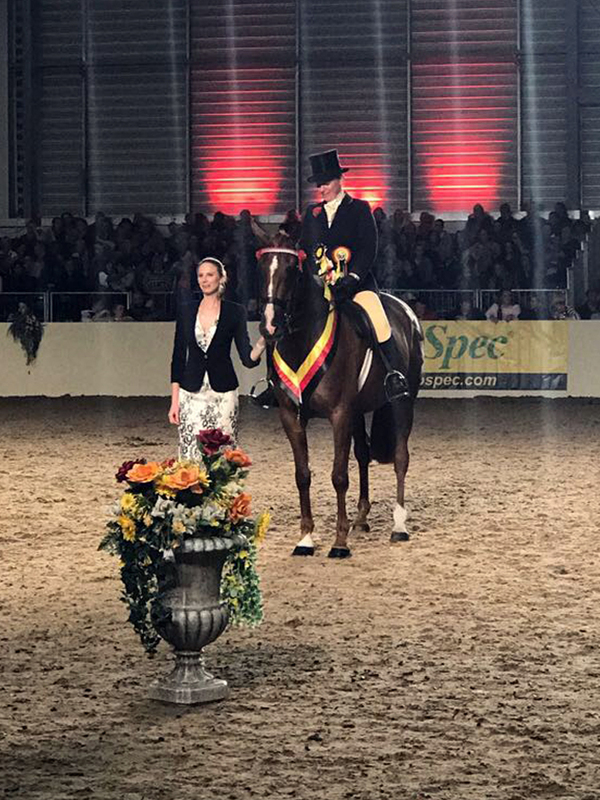 Avril has acquired quite a horde of Nupafeed rosettes over the years, but in 2017 she will get to add a HOYS rosette to the pile for the first time having qualified for the Maxi section. Good luck Avril! Reserve went to another familiar name, also from the Amateur section, Kay Gillam and Crossfire. 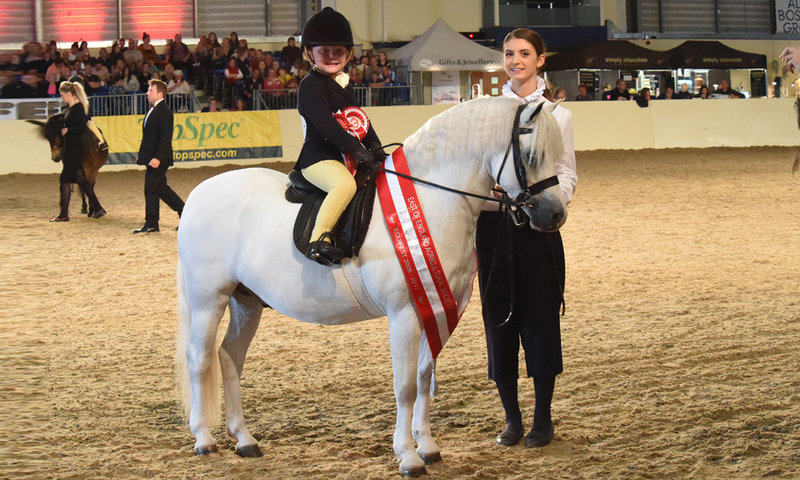 Kay is a previous winner of the Championship and her cobs also compete in Riding Club activities, which was the premise for the class when we first begun our partnership with Equifest many shows ago! The Champion and Reserve Riding Horses also came from the same class, both being Smalls. The champion was Miss K Harris and Epic Tale. Reserve went to Mrs E Whalley and Prestwood Royal Appointment, the impeccably well behaved 5yr old at his first big show! Our congratulations go to all competitors, it is always a joy to Sponsor these classes. Thank you to all of the team at Equifest for putting together another great show.